And now that you are there…. Karimabad has a lot to offer. For starters, most visitors head up to the Baltit Fort that was renovated a few years ago. To get to the Baltit Fort; well just walk in the direction of the Fort which is located at the end of Karimabad and is visible from everywhere. A trip to the Altit Fort is highly recommended. Unlike Baltit, the Altit Fort is in ruins though word in Karimabad this year was that renovations on the fort had begun. To get to Altit Fort simply walk to Altit village that is a mere 20 minutes away from Karimabad. Taking a jeep up to Duikkar for sunrise has been a popular activity with the LUMS crowd despite the 4:00 AM wake up calls. The ride costs about Rs. 700/- and climbs a high ridge above Altit village for views of Rakaposhi Base Camp (Taghafari) , Diran, Golden Peak (Spantik), and Ultar. Supposedly, the views are fantastic, and hopefully one of these days I’ll get up early and haul myself onto a jeep going up. Our students are equally ecstatic about the parathas that can be had for breakfast after sunrise. On the opposite side of the Hunza river is region of Nagar. A trip to Hopar village to view the Thirst is also recommended. Hopar Glacier is the fastest moving glacier in Pakistan and for those who are reasonably fit, we recommend hiking down to the glacier to view the beast. From Karimabad, jeeps to Hopar and back cost Rs. 800/-. 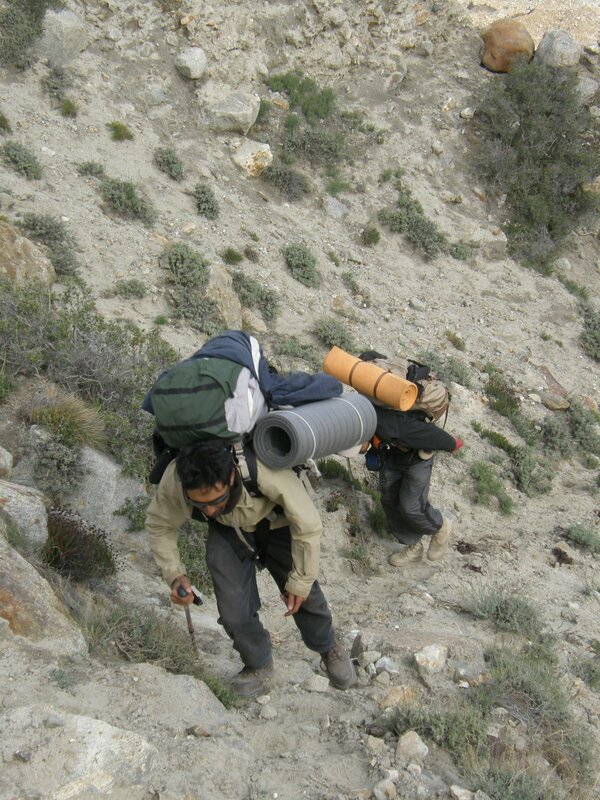 The most highly recommended day hike from Karimabad is up to the pastures by the Ultar Base Camp. Simply follow the irrigation channel that gushes from behind the obvious gorge behind the Baltit Fort. Unless you leave at dawn and are exceptionally fit, expect to spend the entire day going up and down. Locals claim that they can go up and in a mere two to three hours and I don’t doubt them. But the three times I’ve been up to the pastures it’s been a solid day hike to the pastures and back. The trail climbs steeply up a narrow gorge and depending on the conditions of the trail that particular year, expect a strenuous walk. In the summer, carry water and something to munch on as the gorge can get hot by early afternoon. If this is your first time in the mountains, or you’re unsure of your ability on steep, tricky terrain, it makes good sense to hire a local freelance guide to show you the way. Numerous accidents have taken place in the area, some fatal, and these could have been prevented with a little bit of care. A freelance guide should cost you no more than a few hundred rupees. Alternately, you can ask the management in any hotel and restaurant to recommend a young lad to accompany you. Many school going children have time off in the summer and this is a great chance for them to make some pocket money. Once at the pastures you are rewarded by stunning views of the jagged Ultar ridges and the extremely steep Ultar Glacier. Below is a lovely meadow with ample tent space and clean water. Should you not have your own camping equipment, a local entrepreneur rents out tents for the night and can prepare food as well. Day hikers can buy tea, soft drinks, and snacks. Beware that for some unknown reason, a few years ago these services were extremely expensive. Be sure to ask for prices beforehand to avoid an extremely rude shock afterwards. From the pastures it is supposedly another three to four hours to Hon Pass at 4,000 meters. Hon Pass is said to offer superb views of the entire lower Hunza valley. A young helper whom Nasir employs at the Punjab Sindh claims he can ascend the Pass from Karimabad in less than two hours by climbing up the mountain behind the Baltit Fort. For the rest of us mere mortals, Hon would certainly be an overnight trip. Lastly, Karimabad has a surprising number of souvenir shops that sell local handicrafts. Depending on what you are buying and whom you are buying from, the handicrafts can range from cheap to ludicrously expensive. We are poor, dirt-bag travelers – and probably shall be well into the foreseeable future – quite content to simply admire the crafts. Feel free to negotiate the prices, but avoid the aggressive bargaining tactics common down-country. Sher Ali runs the Hunza Weaving Center, a shop with a diverse selection of handicrafts. He is also a well-known local musician well versed in the musical traditions of Hunza. In addition, Karimabad has a few shops that stock canned food, chocolates, film (including slide film and sometimes black and white too), and most types of camera batteries. Prices are usually ten percent more than what you would pay in the big cities. A shop next to Karim’s Hotel has some trekking and climbing equipment, and a few shops sell second hand boots. Needless to say, secondhand climbing equipment is NOT recommended. There are two surprisingly good bookstores in Karimabad. The GM Beig Bookstore is located in front of Punjab Sindh and has a good collection of travel books and some fiction. Opposite Hill Top Hotel is Cafe de Hunza, Pakistan’s only cafe’ bookstore. The selection is as good as it is going to get in the Northern Areas. In addition, the cafe’ also serves all sorts of exotic hot drinks, waffles, and other goodies that you wouldn’t expect to find in Hunza. Between Karimabad and the Chinese border at Khunjerab Top lies Gojal, North Hunza. If you have time then this area is worth travelling to as well. Most people make a day trip to Khunjerab Top that lies above 15,000 feet. Jeeps charge approximately Rs. 2,000/- leaving early in the morning and returning by late evening (in the summer months buses can make it up to the Pass). It’s a solid six hours in both directions, so do make sure that you leave early in the morning. People have mixed feelings about the trip. For the most part, the vehicle passes through a dry, barren valley so don’t expect any of the greenery that you see in Karimabad. 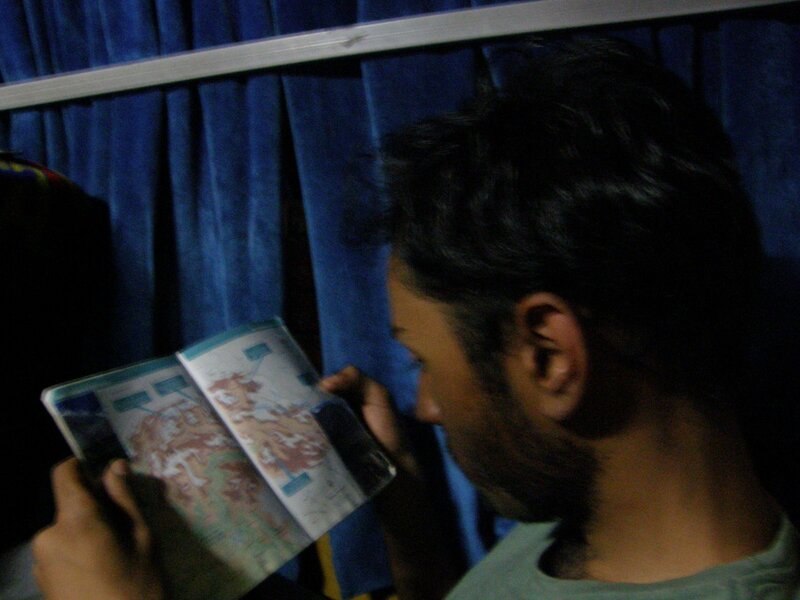 But this terrain has a grandeur of it’s own and the journey is certainly worth doing at least once. Once at the top you can expect shortness of breath (unless you’re a trekker and already acclimatized), Chinese and Pakistan sentries, patches of snow, and in July, plenty of alpine flowers. En route to Khunjerab you pass through Gulmit, Passu and Sost. Gulmit and Passu are quaint towns located on the The Karakoram Highway . They offer a respite from the touristed Karimabad and are worth staying at if you have the time. Both places have only three or four hotels each so walk around till you find one that suites your taste and budget. Passu is the starting point for treks in Shimshal , the A Stroll Along The Batura , and up the Passu Glacier. Because of increase in trade with neighboring China, Sost has seen rapid development as a result of which the town has lost a lot of its charm. Nonetheless it’s a lot easier to find food or a place to stay now that it was twelve years ago when I first visited.